Home » Posts Tagged "recycle ideas"
Recycling makes use of materials that would otherwise be thrown in the landfill by processing and collecting trash or waste materials. Recycling can benefit the environment and community by minimizing the amount of garbage thrown out. It also helps to conserve resources by minimizing mining, cutting down trees, saving energy, water and fertilizers associated with farming and also help to reduce the amount of waste sent to landfills. Recycling also saves the energy needed in mining, and reduces the green house gases. Therefore, recycling your household waste can be an essential element for sustainability. Many people have the artistic ability to turn junk into art. Some of the artists can really boast about how environmentally conscious they are and how they can make junk beautiful. It is not only for children’s art and craft, but anyone of any age can practice using materials that they would usually throw away and turn them into art. 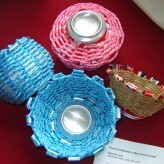 Some of the artists can make incredible master pieces from recycled materials. We all know the old saying “one man’s junk another man’s treasure.” We could create art form just about anything we want if we have the eye for it. There can be great pleasure found in creating art from the things you would normally throw away. Some of the materials that may be used for creating art are old Christmas wrapping papers that could be recycled, old metal tin, buttons, old metal straps and so on. If your kitchen could use some extra touch, you can remodel your kitchen or bathroom with old boxes and plastic containers. Make your kitchen more organized with old lunch boxes, make shelves, repaint your old boxes and make them look beautiful. You can also make good use of your old greeting cards. 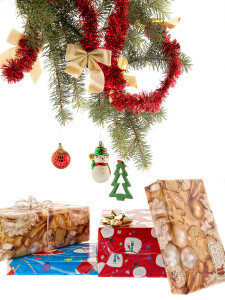 You can glue your old greeting cards together or use old calendar pages to wrapping paper for new gifts. They are colorful and can become attractive material for wrapping. You can wrap just about anything with them. Use them as wall paper, or wrap old furniture. You can make fabric bags from old fabrics and place candy in them. sew it up to and tie with ribbons to make delightful fabric bags. cut fabric into 11 by 7 and half inch piece. fold fabric in half and make a pocket by sewing long side and one short side. turn it inside out so the seams stay inside. This can be a cheerful gift bag for kids at any occasion or celebration. Kids will have lots of fun creating art from recycled materials. It helps them to build creativity as well as make good use of their time instead of wasting time watching TV. 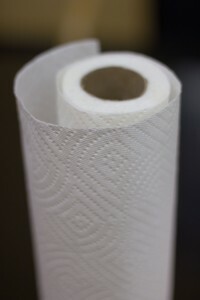 This can be made from old paper towel tubes form your kitchen that you would usually throw away. Instead, give it to your kids, and they can turn it into art. 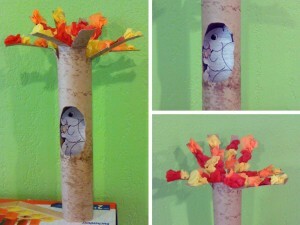 After creating this beautiful roll from old paper towel rolls, kids can use it to put their important papers inside it.